As this season comes to a close, we hope you will come out to our Annual Broadway Night Cabaret show and Chinese Auction benefitting Island Harvest Food Bank and Friends of RCP, Inc. on Saturday, May 18th 2019.
who believe that each and every student's pursuit of the art of the theater should be realized. We started this non-profit as a way of being able to raise money to give the students of the Roslyn High School opportunities to learn as much as possible about the various outlets they have for their passion, while also sharing their talents to give back to the community. Our goal is not only to provide the kids with workshops and events to teach them more about acting, singing, stage craft, sound, and lighting design, but also to donate a portion of the proceeds to charity. Theater is a gift that is meant to be shared with all. We hope that you will support us in this endeavor. 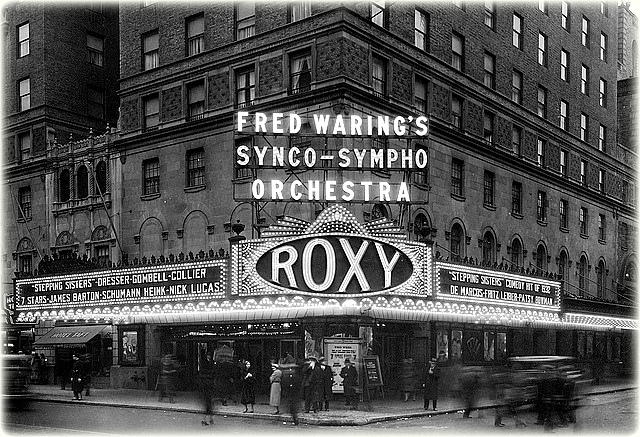 Seats originate from the Roxy Theater. The beautiful Roslyn High School Theater.